You need a break, we get it—sometimes the daily grind becomes a little too routine and of course a soul-reviving trip is the answer. A quick escape to immerse yourself in the flavours of a new neighbourhood, town or city, and return to life full of new-found optimism and outta-this-world energy. Our hearts beat faster at the thought alone, but how to make this kinda trip happen in the simplest way possible? Enter: the magic of Airbnb. Where else will you find an online community of anti-avocado home owners willingly offering up their casa to momentarily become your casa? It’s genius, it’s easy, it’s all about livin’ la vida local in your not-so-typical locale. From treehouses, to beachfront villas, Queensland is sardine tin full of properties for you to try. You know that post-yoga frame of mind? Yeah you do. Well, that’s exactly how you’ll feel once you’ve experienced the abundance of natural hues, worldly treasures and plant life within The Lodge at Noosa. A short walk (or bike-ride on beach cruisers) from the area’s top beaches, this three-bedroom, two-bathroom abode offers next-level laidback living with its coastal ambience and Weber-decorated outdoor deck. When you’re not swinging your holiday away in the indoor hanging chair, you’ll be floating around the neighbourhood without a worry in the world, checking out all the best restaurants in Noosa. 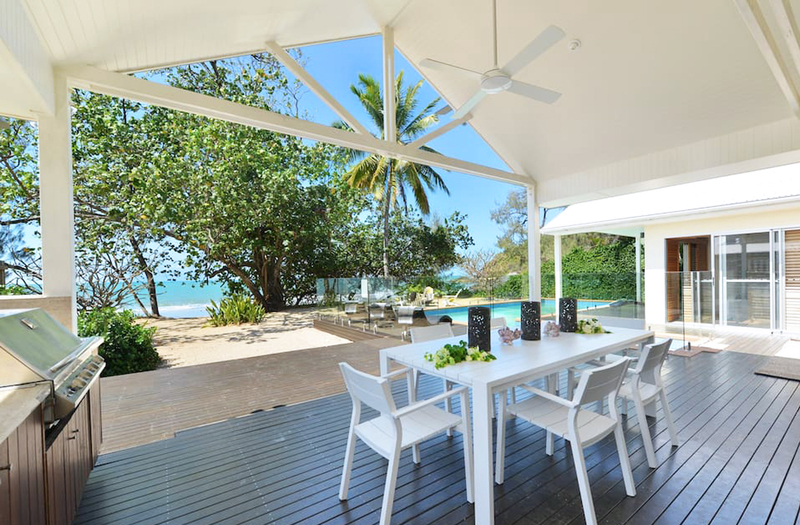 Well, waddaya know, your slice of Queensland paradise exists in the form of Alinghi Beach House, an architecturally-designed masterpiece snuggled into 14 acres of native bushland on the southern tip of the Great Barrier Reef. 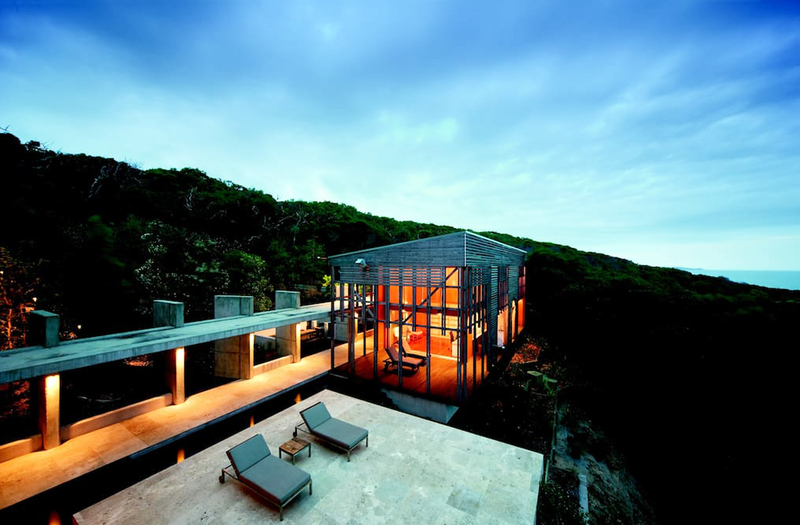 A home that blends into the natural landscape, and we reckon you may follow suit, too. Grab nine of your closest buds and recharge your batteries via poolside perves over the Pacific and maximum chill on the private beach of Honeymoon Bay. Nothing creates better Insta-pleasure than a secluded beach at sunset, right? If a flawlessly refurbed 1920s cottage within one of Brisbane’s most cultural suburbs doesn’t pique your interest, please take a mo’ to check your pulse, because Durham House ticks all the boxes of our Airbnb bucket list! The West End three-bedder features modern styling on par with all your fave #homeinspo magazines. We’re talking white walls, cane chairs, tiled bathrooms, framed landscape pics and then there’s the rear terrace open fireplace—it’s freakin’ spectacular! Familiarise yourself with the ‘hood by means of a yoga sesh or farmers market meander but TBH, the vibes of this property will magnetically draw you back, so don’t wander too far. We love, love, love a property that merges with nature, especially when that nature is Lamington National Park. 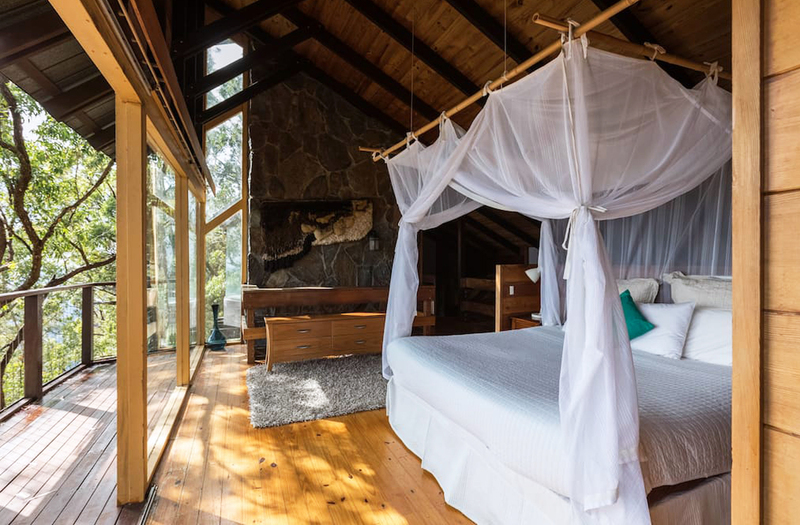 Alcheringa is one fine piece of mountain house, offering the best in treat yo’self-satisfaction with its rustic charm, minimalist living space and outdoor spa. 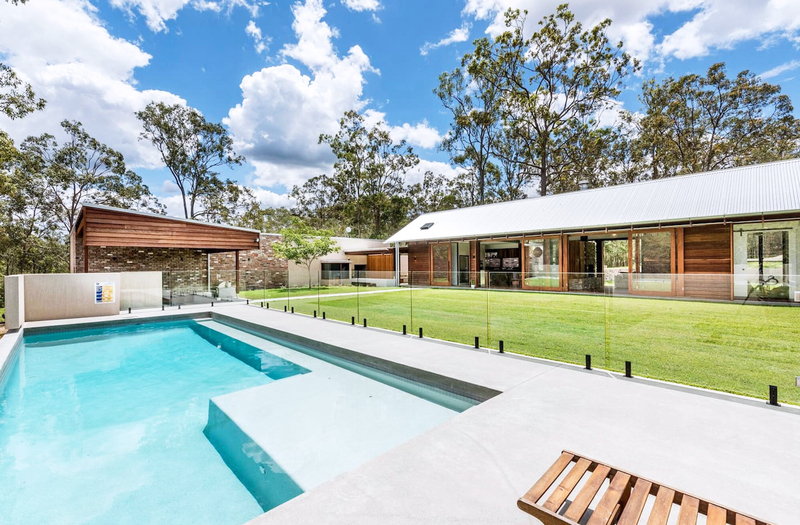 Yes, we went there—so pour yourself a glass of red and send the ‘gram wild with spa-views over Coomera Valley, or move inside and boomerang your way through fireplace meals of toasted marshmallows. Oh hey, absolute beachfront bliss—where have you been all our lives? Just shy of Port Dougie, holding out in Oak Beach, obvs. Now that you know the whereabouts, block out a slot in your schedule for some epic north Queensland fun. 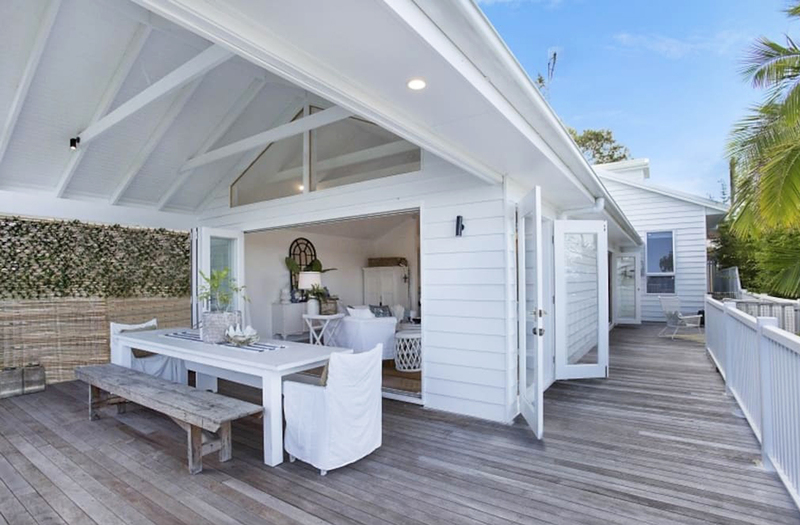 The coastal interior of this three-bedroom pavilion-styled beach house flows into a backyard sanctuary, including a BBQ area, saltwater pool, fire-pit and beach upon your doorstep. We have a hunch that 99% of your time will be spent outdoors (the other 1% topping up your champagne flute in the kitchen) so pray for sunshine and pack the sunscreen, you’ll be needing loads of both! Talk about having enough fuel for your Insta-fire, Tugun really knows how to please ya. The mysterious piece of the Gold Coast puzzle will have you throwing nods in every direction of this well-curated Hamptons-style home. That’s a nod to the calming ocean-inspired palette, high-ceilinged back deck, clawfoot bath, nautical statement pieces and the five-minute beach proximity. Bravo, Coastal Hamptons Seaside Home, we whole-heartedly applaud you. 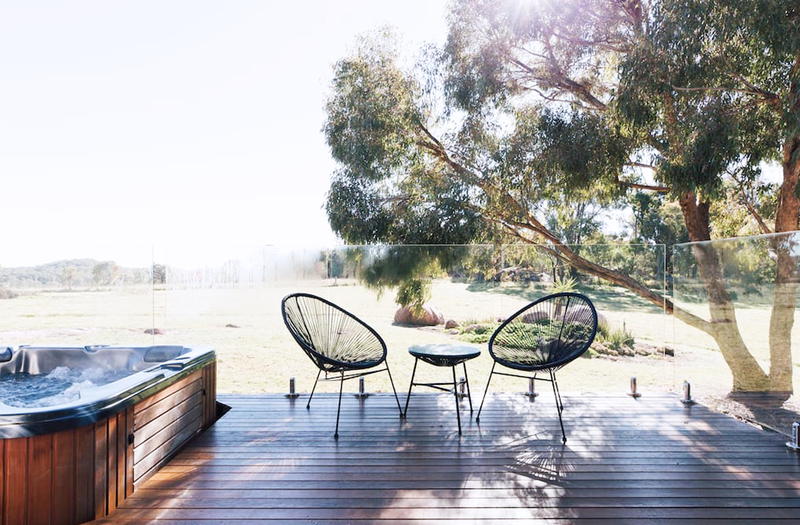 Tucked into the seams of Queensland’s wine country, you can bet a stay at Alure will involve a hefty dose of fermented grape tasting. Fruit intake, aside, the villa provides the perfect setting for a romantic escape with its fire place, outdoor spa and effortlessly cool interior design (because we don’t want to look like we’ve tried too hard, do we?) Snap away at the starry skies and send your followers into a frenzy with the locally-sourced ‘Tastes of the Granite Belt’ breakfast basket that you’ll enjoy from the comfort of your bed. Does life get any better than this? What better place to reverse the effects of modern day living than within the secluded six-acres of this eco-inspired retreat. Spring into each day feasting on freshly hatched eggs and cold-press juices before taking a dip in the chemical-free pool. The two ovens, Thermomix, BBQ and outdoor deck will seal a bubble that you won’t wanna leave, so make sure you pick up plenty of fresh supplies from Samford Village and takeaway coffees from Canter and Colt. You may not have an environmental conscious prior to your stay at The Greenhouse, but gosh we guarantee you will by trip’s end. Have your calendars handy, we have a feeling you won’t wanna leave it too long before marking this Port Douglas hotspot on your annual leave radar. Loaded with quirky character, you’ll be self-inflicting a serious case of RSI as your iPhone camera worships the retro-studded furnishings upon the tropical plastered walls. Provoke Insta-envy as you sip pina coladas by the lagoon pool, or really make that camera sweat at nearby Four Mile Beach and Mossman Gorge. 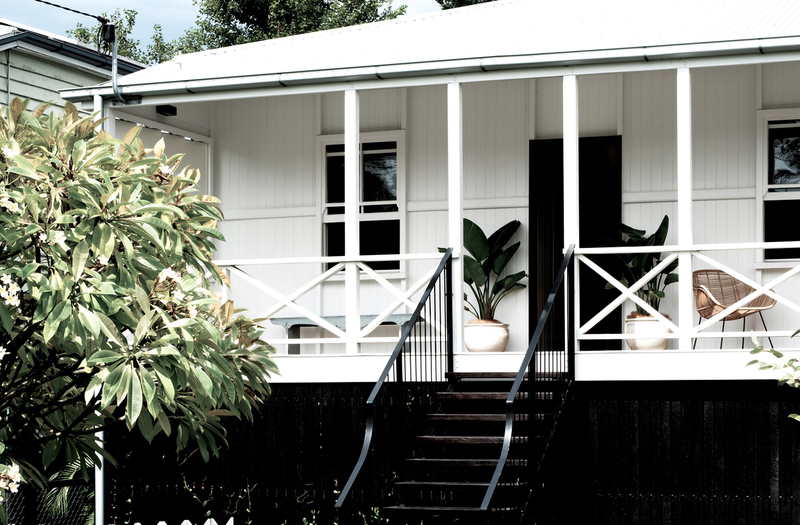 If you wanna sneak a trip just south of the border, those NSW’ers are gonna make it worth your while with The Triangle House in Cabarita. 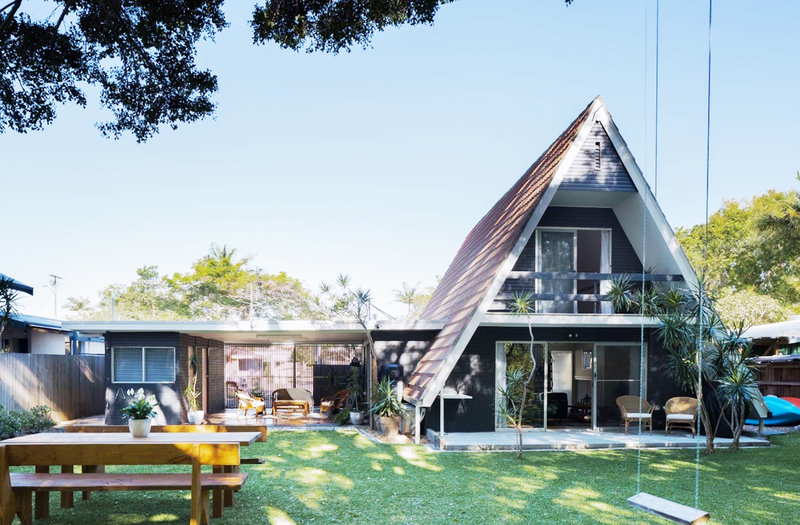 A freshie on the Airbnb scene, the home flourishes with all the gram-worthy charm you’d expect from a renovated 1970s A-Frame. Hip interior design flows seamlessly into the outdoors where you’re spoilt with your own lake (say what?). If you have one of those schmancy waterproof phones, you’ll have zero probs jumping into a kayak, otherwise there are plenty of other spots for you to laze around and perfect your #picoftheday. OMG, heaven is a place on earth, after all. 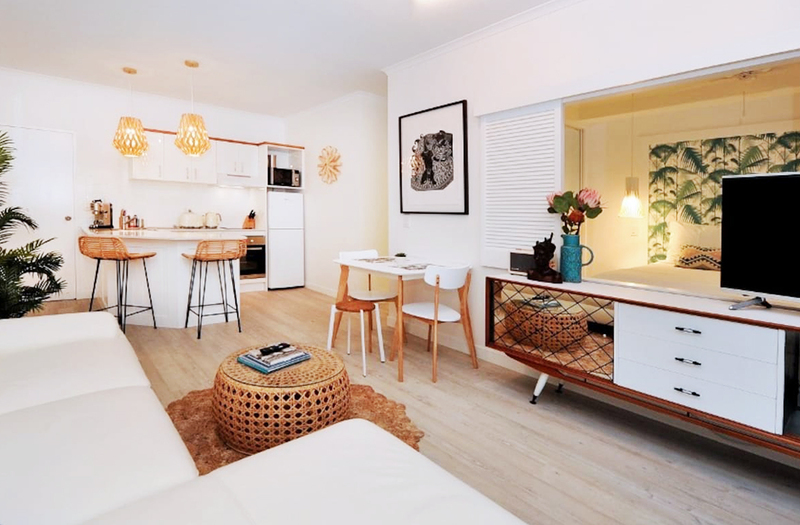 Looking for the best Airbnbs within driving distance of the Gold Coast? We've done you a solid and rounded up our next-level faves.